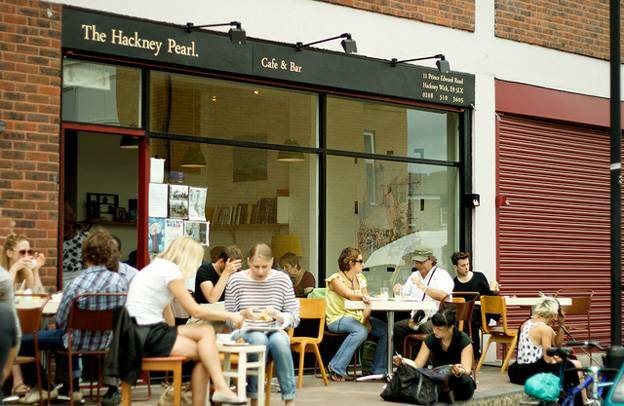 If you plan to visit Olympic Park during the 2012 London Olympics, now is the perfect time to start thinking about things to do while there – other than enjoying all things Olympic. The Olympic Park is located in Stratford, East London, is the main hub for the London 2012 Games (July 27th through August 12th) and the Paralympic Games (August 29th through September 9th). The park itself will be well-served by public walking trails, bike trails and public transportation, making it extremely convenient to enjoy many attractions and local delights found in this historic area of London. Two major shopping districts are near Olympic Park, located on either side of Stratford station. Stratford Centre, covering 330,000 sq. ft., attracts an estimated 21 million visitors each year – expected to increase during the Olympic games. The single floor shopping complex offers 62 stores and shops, including Apple Jacks Health Shop, O2 Store, Card Factory, Thomas Cook, Footlocker, Stead & Simpson, Subway and T-Mobile. If you’re going for sheer volume in terms of shopping selections, Westfield Stratford City is the shopping centre for you. The complex includes over 300 stores and more than 70 restaurants. Need a break from all that shopping? Spend a little time in one of the two hotels on the property, including the 267 room Premier Inn hotel. Both shopping centres are easily accessible with the Stratford Railway Station and bus station nearby. Looking to keep up the festivities on your own? You’ll find several bars and pubs in the area. Nearly 20 bars and pubs are located within a mile of Olympic Park. Area favorites include: The Hackney Pearl, The Lighthouse, The Albert, The Builders Arms, Yate’s Wine Lodge and The Little Driver. It wouldn’t be England without places with names like The Lord Cardigan, King Edward VII and Lord Morpeth. Visiting any of these places will give you plenty of local atmosphere. If you’ve never experience an authentic London-area pub, you’ll definitely want to make the rounds. Just north of Olympic Park is Velo Park, recently constructed specifically for the Olympics. This park will be used for the indoor Olympic and Paralympic Cycling events. When not in use for Olympic purposes, the park is a great place to get some exercise with mountain bike and walking trails. Mile End Park is the oldest park in the area, dating to the 1940s. 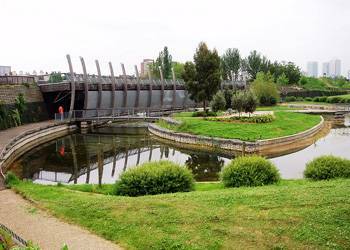 When not serving as a training centre for many Olympic and elite competitors, Mile End Park is a great place to enjoy a day of rest and relaxation. Guided walks are available for those not familiar with the park or the area. Annual events held here range from an Easter egg hunt in the spring to a variety of art exhibitions by local artists in the summer. Kids can enjoy a specially-designed play area and those looking for a little activity can tackle a climbing wall. You’ll find tennis courts, a cricket field and an athletic track in nearby West Ham Park. If you want to add a little culture to your visit to the Olympic Park area, there are a few local museums worth visiting. The Museum of London Docklands puts the spotlight on the history of London’s river and warehouse district. Popular attractions here include authentic whale bones, state-of-the art galleries and an interactive kids area. 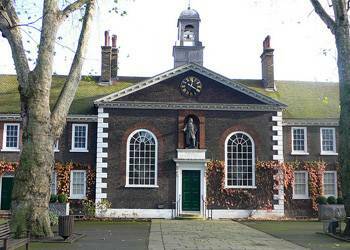 The Geffrye Museum, named after former Lord Robert Geffrye, focuses on the area’s famed textile history. Once you finish the tour, stop by the gardens, attend a seminar or grab a bite to eat at the museum’s popular restaurant. The Ragged School Museum, opened in 1990, takes up three warehouses to hold a unique collection of items to highlight the history of London’s East End. Kids can play in a special area in the basement. As the games approach, it will be very busy around Olympic Park. 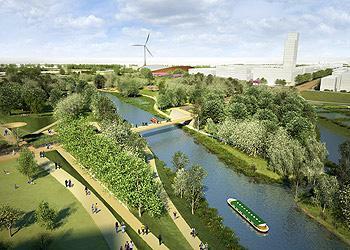 More than 30 million people are expected to visit sites in and around the Olympic Park. If you plan to visit any of these sites while the Olympics are taking place, it is best to plan ahead and make arrangements in advance. By doing so, you’ll avoid any last minute confusion and just might find some deals if you plan to take an official tour of the area. Olympic Park will open to the public 90 minutes before the first event of the day begins. Venues within the park include: Olympic Stadium, Riverbank Area, Eton Manor, Basketball Arena, BMX Track, Copper Box, Water Polo Arena, Aquatics Arena and the Velodrome. Each venue has different hours of accessibility. Signs will be posted to direct visitors around the area. Sol Hudson the author of the “Things to Visit near the 2012 Olympic Park” has a wide variety of interests on everything from great destinations to visit to digital photo printing, and he blogs about all of them at various publications around the Web.